Yes! 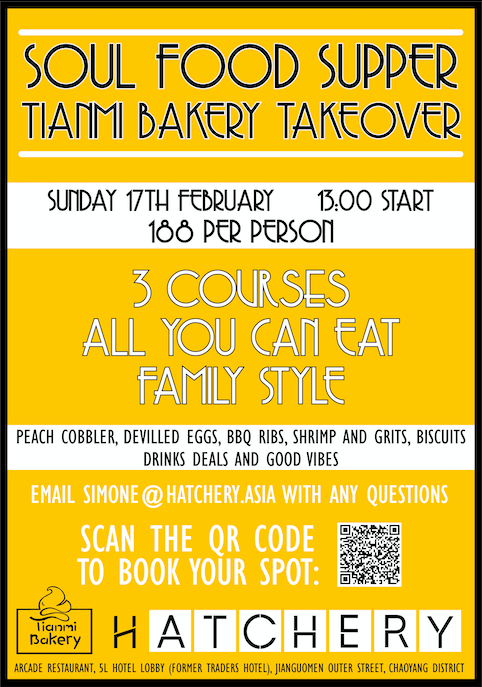 World's most talented chefs: Chef Simone from Hatchery and Olivia from Tianmi Bakery are teaming up again to bring you a heart warming and soul filling supper, complete with the best Soul Food around. Inspired by the dishes of the American South and African American culture, this soul food supper is sure to be a great time for all. Be sure to save the date: 17th Feb 2019 and buy the tickets in advance.